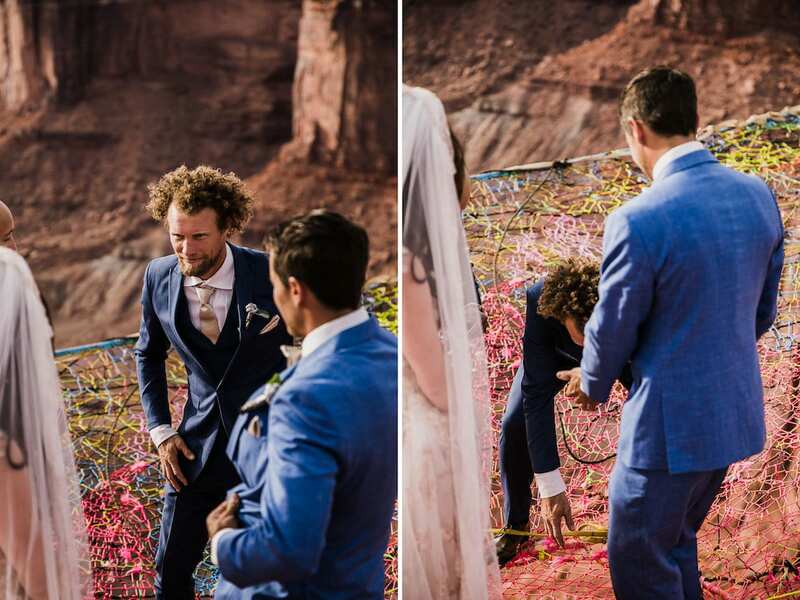 There are many ways to say “I do” but few are as daring as Ryan Jenks and Kimberly Weglin. 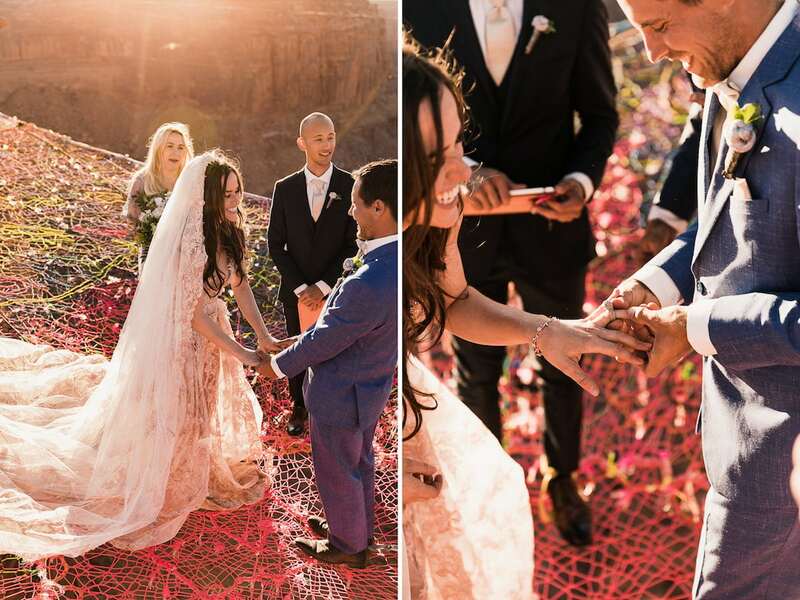 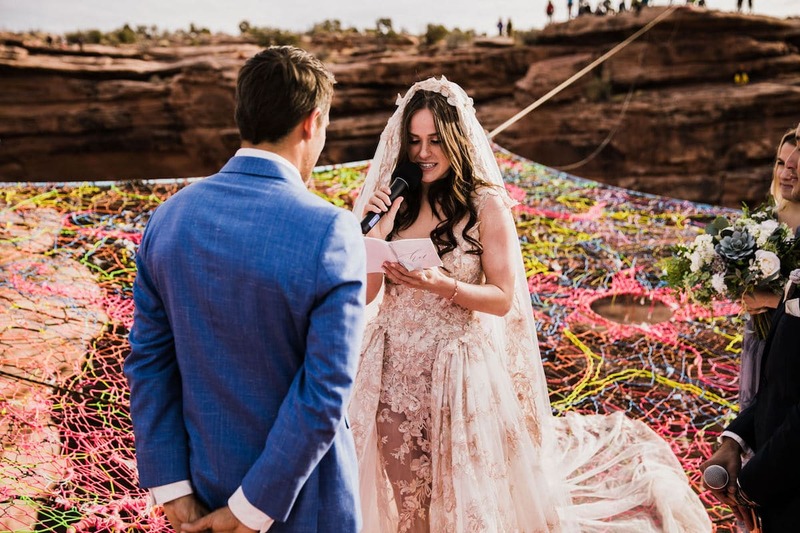 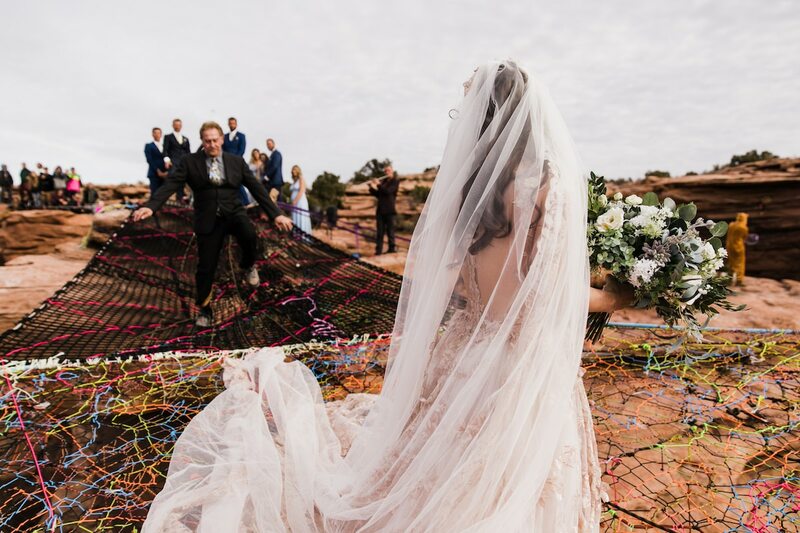 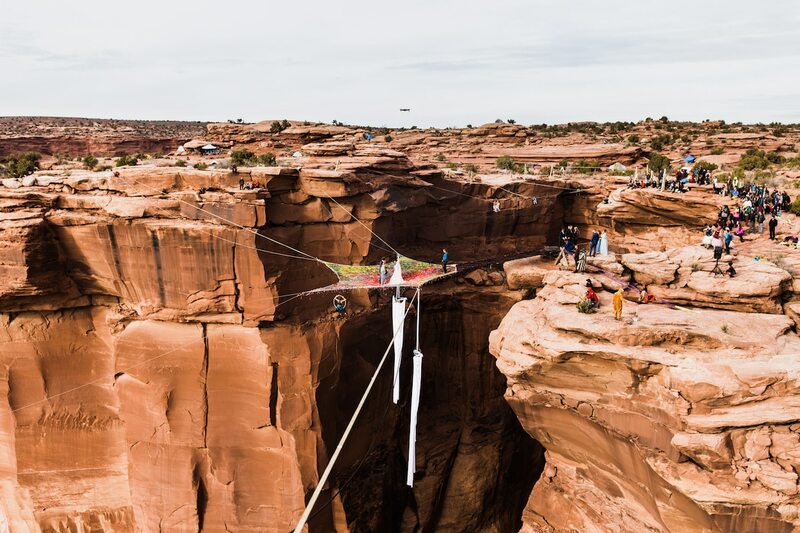 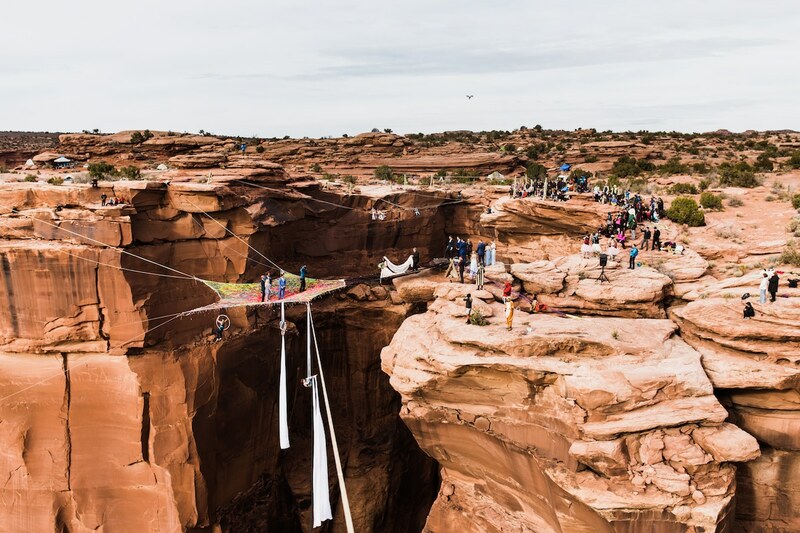 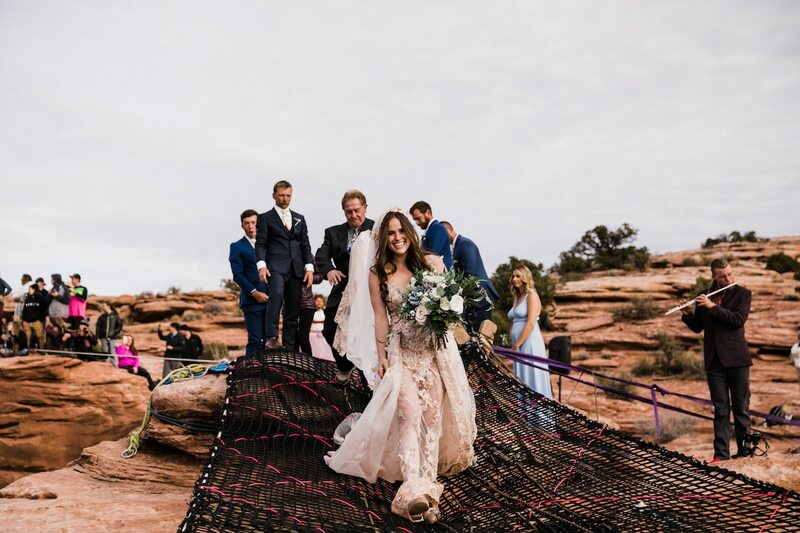 After getting engaged on a space net in Moab canyon, the adventurous couple decided to have their wedding in the same place—suspended net and all. 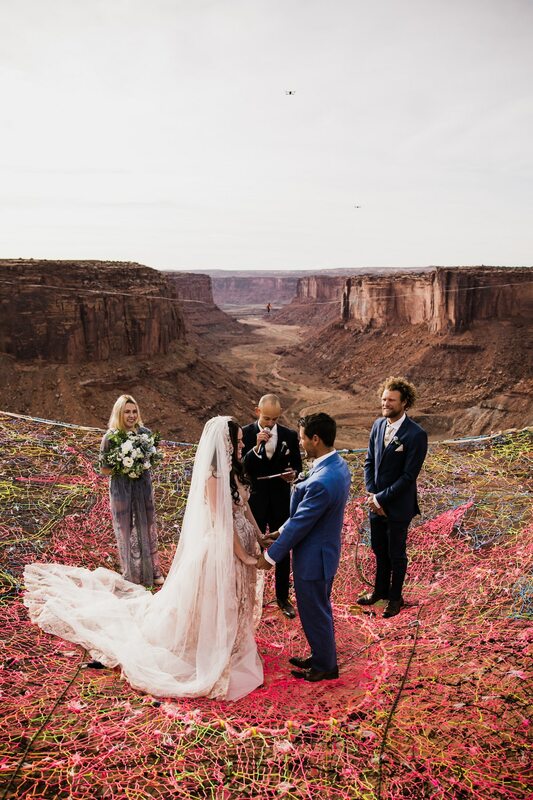 When the big day finally came, Jenks and Weglin said their vows four hundred feet above the desert floor. 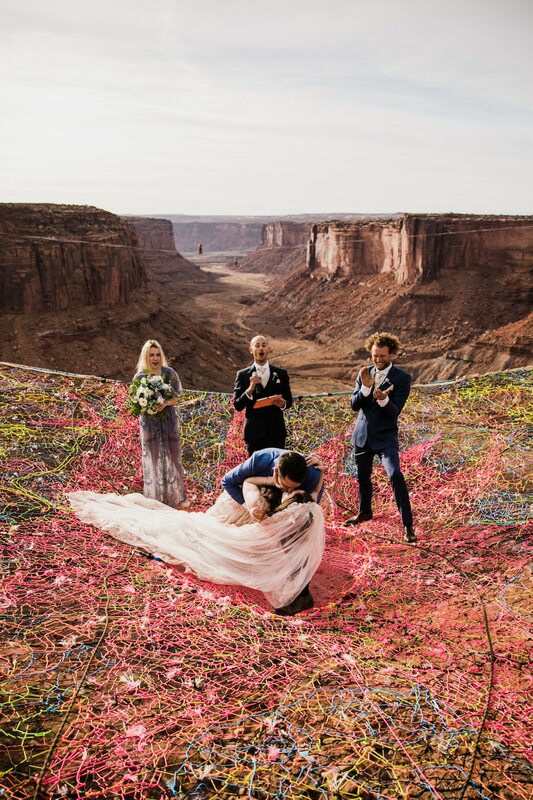 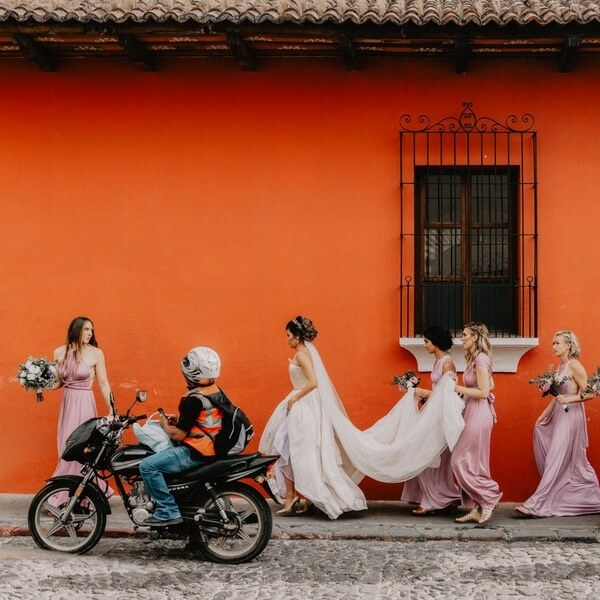 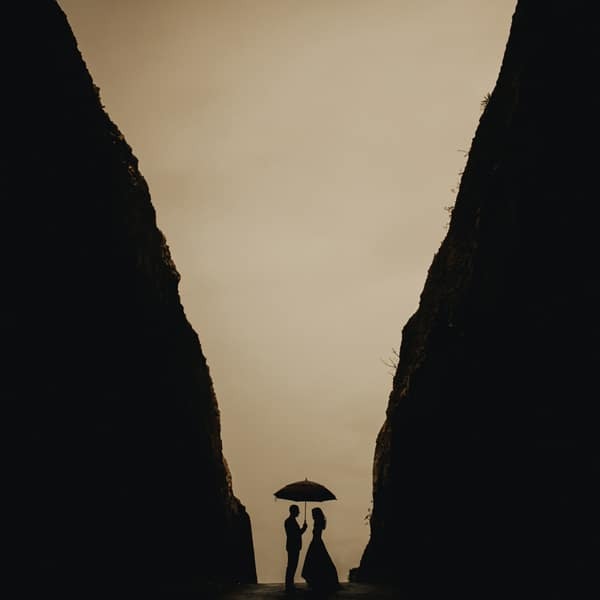 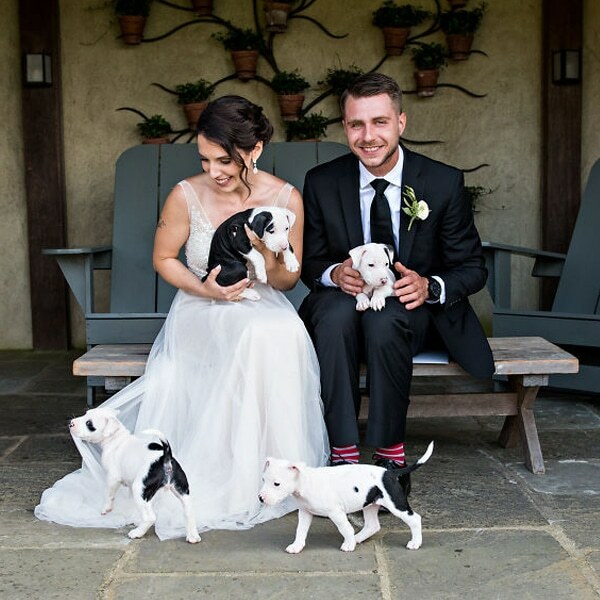 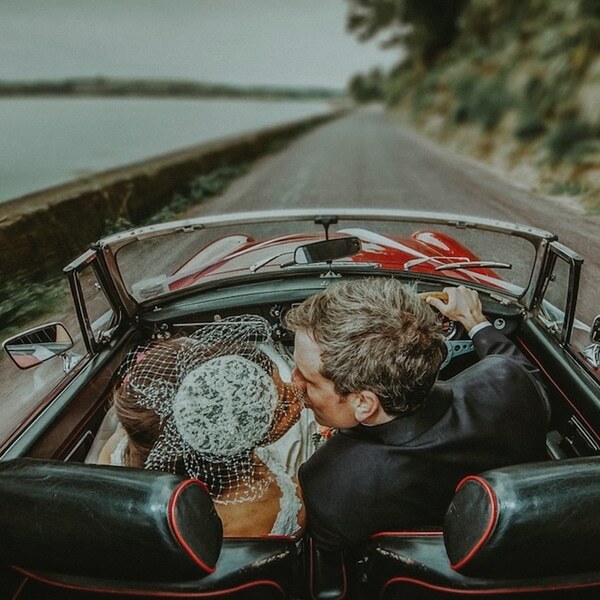 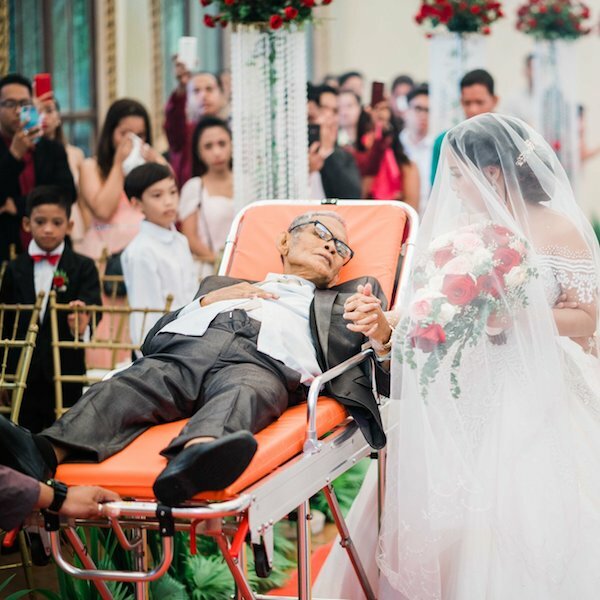 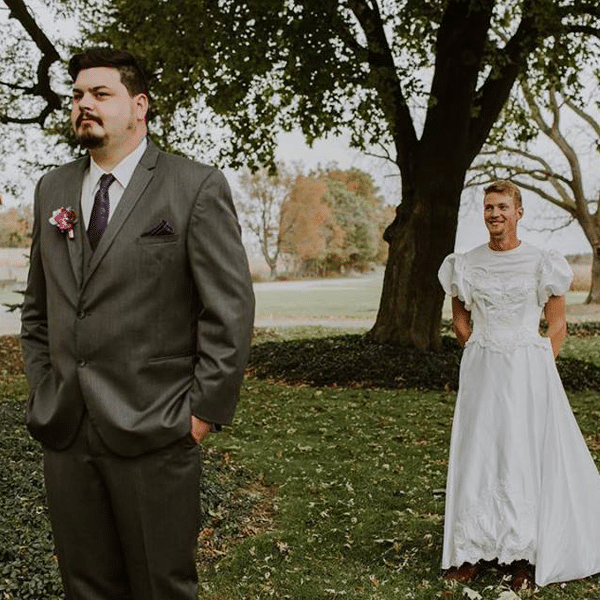 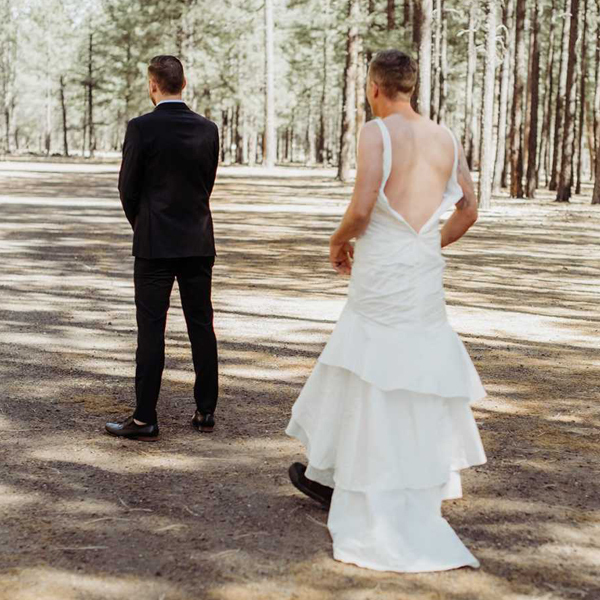 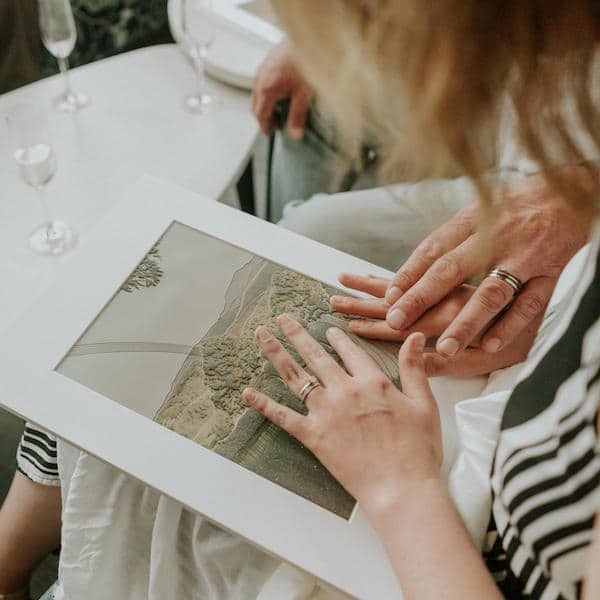 The photographers, Abbi and Callen Hearnes, captured the extreme wedding pictures, which are as stunning as they are breathtaking. 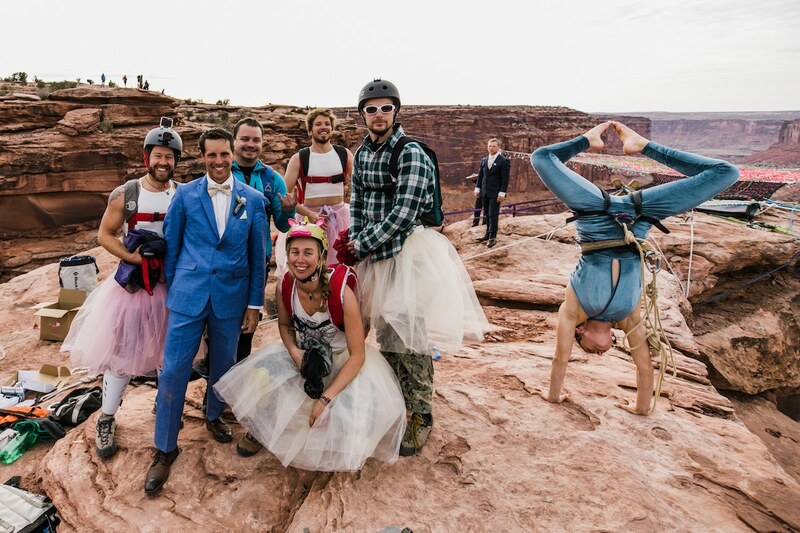 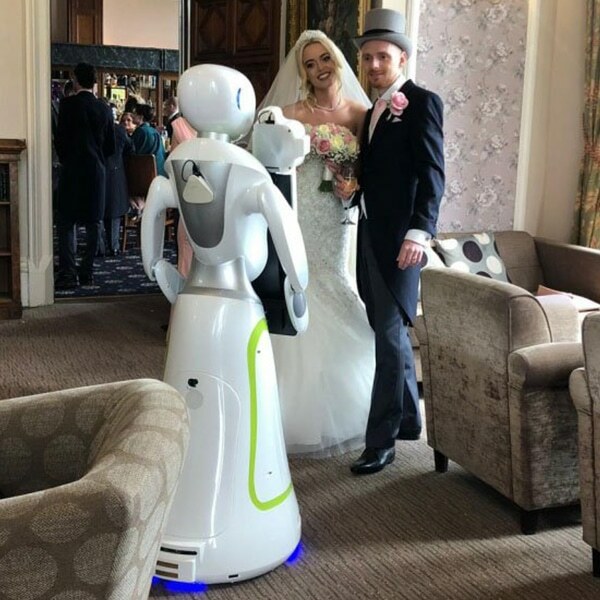 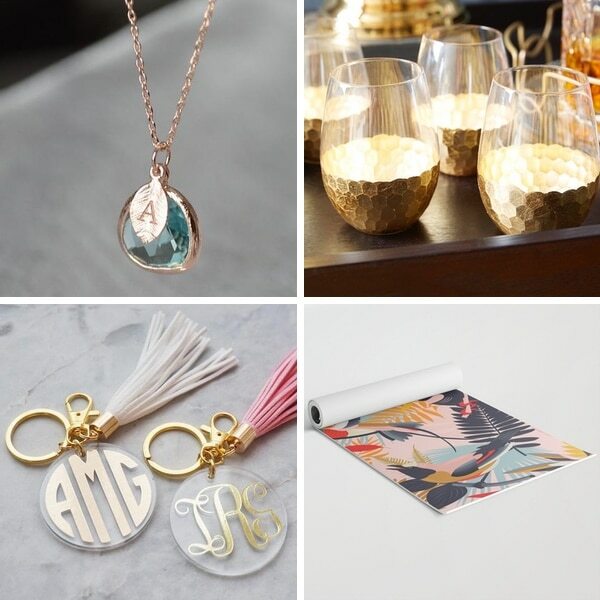 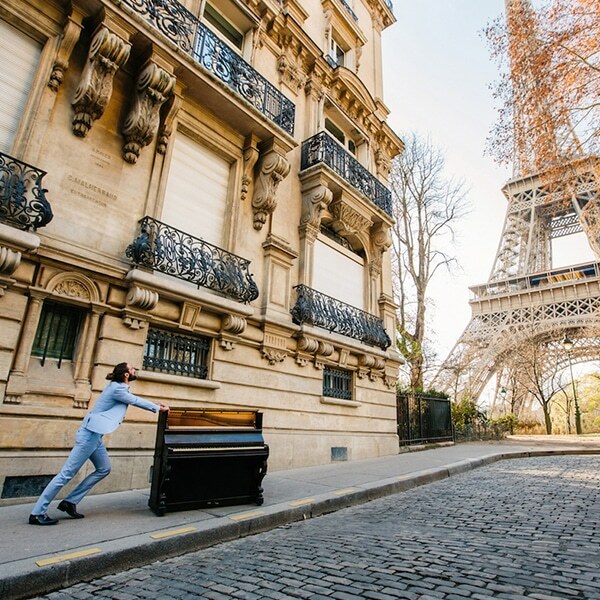 Looking for extreme wedding ideas? 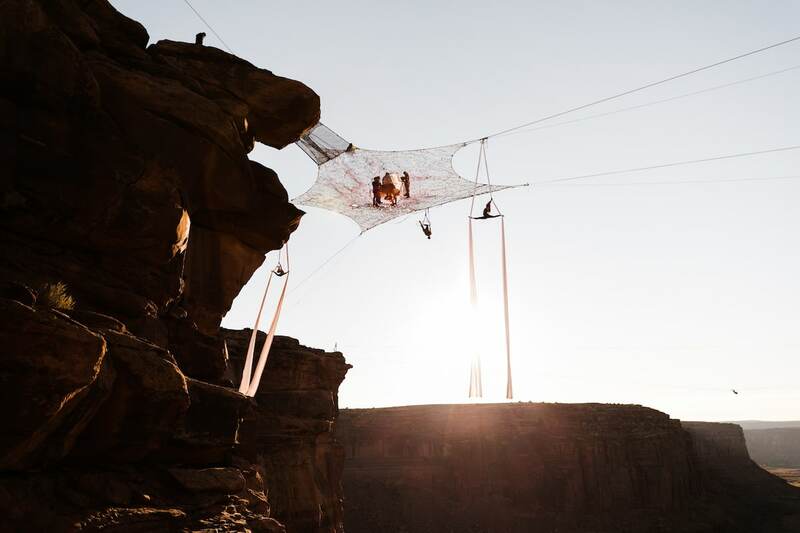 Ryan Jenks and Kimberly Weglin made it happen when they got married suspended 400 feet in the air. 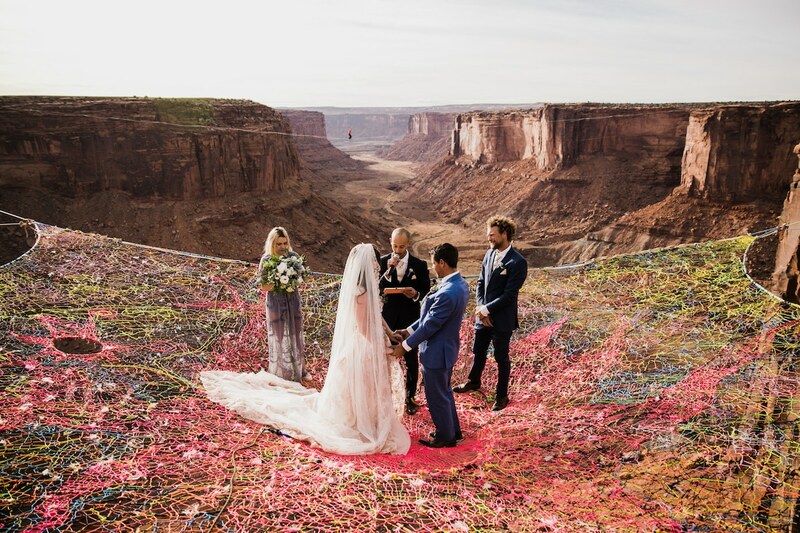 The event, which included a space net and BASE jumpers, was captured in extreme wedding pictures by photography couple The Hearnes.